Corporate sustainability. Carbon footprint. Energy reduction. Clean tech. Social responsibility. Waste management. Recycling. Government regulation. Today the pressure on organizations to be responsible stewards of the environment and to reduce environmental impact in their supply chain is enormous. How can organizations develop sustainability, energy management and environmental plans and goals to address challenges in their own companies and with suppliers? One way is to implement an environmental standard such as ISO 14001:2015, the environmental management system and ISO 50001, the energy management system. BIZPHYX is one of the nation’s leading quality management consulting firms, specializing in the implementation of ISO 9001, ISO 14001, ISO 50001 and TL 9000, the ISO based quality standard of the telecommunications industry (ICT). BIZPHYX is an expert trainer provider and we are experienced ISO 14001 and ISO 50001 auditors. Serious about getting certified? We offer a full suite of ISO 14001 and ISO 50001 consulting and auditing services. To start, we have an unprecedented 100% client certification rate. 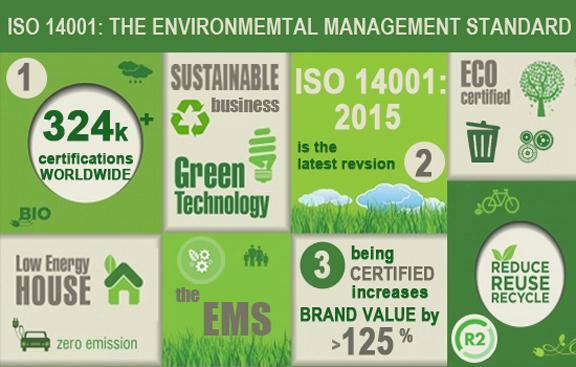 BIZPHYX has specific EMS expertise with a certified environmental specialist (CES) on staff. Sustainability, energy reduction and environmental stewardship are now baseline corporate objectives. Corporations are driving these goals deep into their supply chains. Where do you stand in this planning process? If you're serious and focused, we will help you meet your customer requirements by implementing an effective environmental plan and help you achieve your ISO 14001:2015 and ISO 50001 certification(s). like supplier audits and scorecards. to clients through our knowledge base.